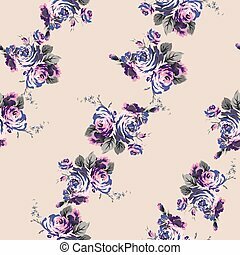 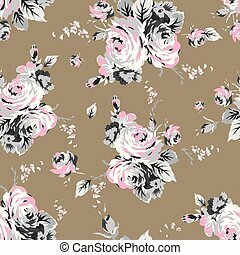 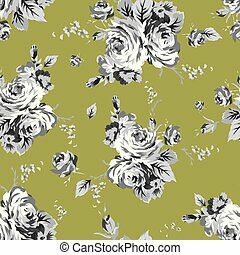 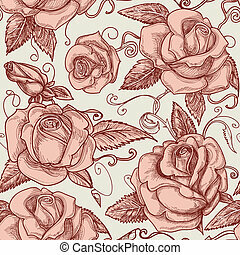 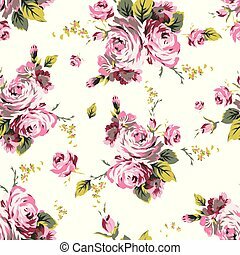 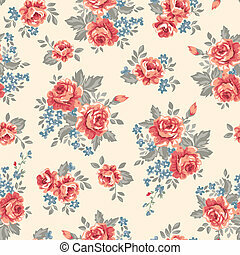 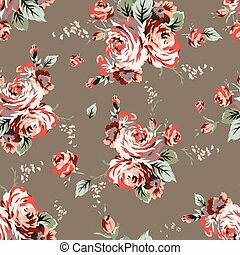 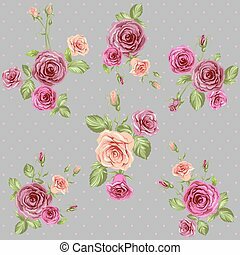 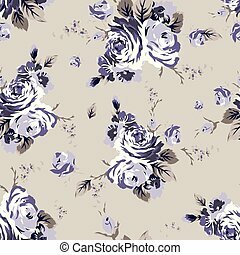 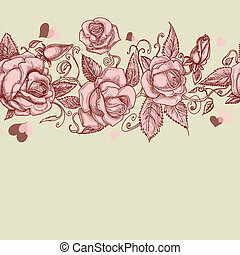 Shabby chic vintage roses seamless pattern. 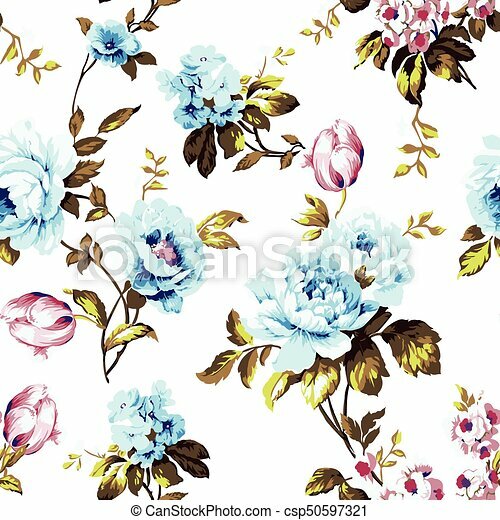 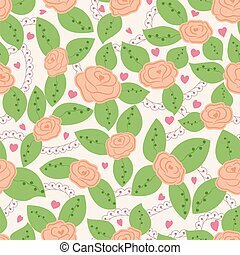 Shabby chic vintage roses, tulips and forget-me-nots vintage seamless pattern, classic chintz floral repeat background for web and print. 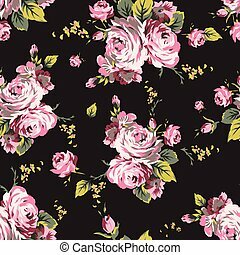 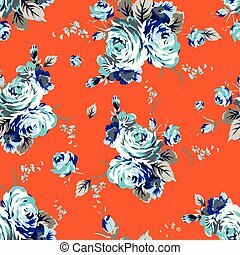 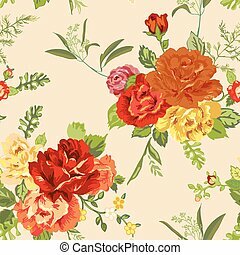 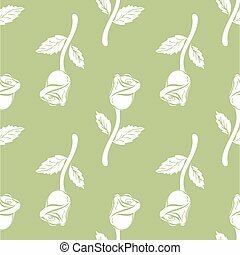 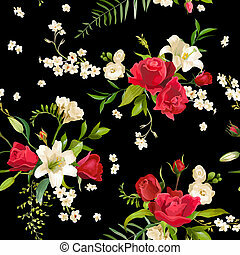 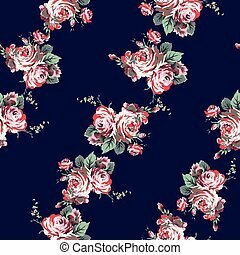 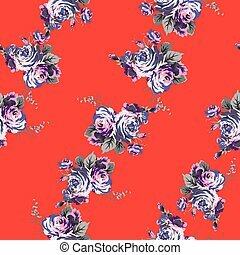 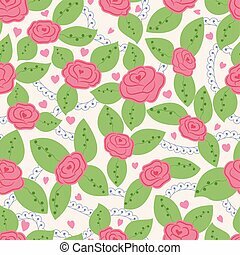 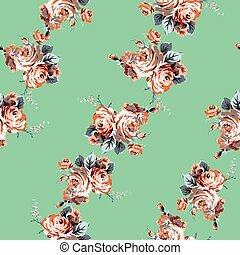 Vintage Seamless pattern roses. 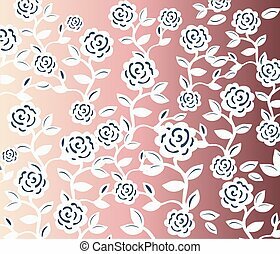 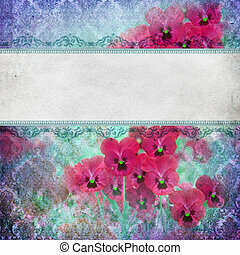 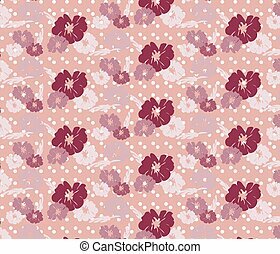 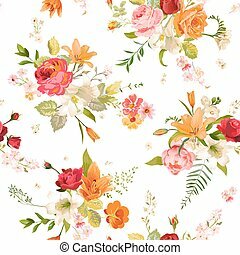 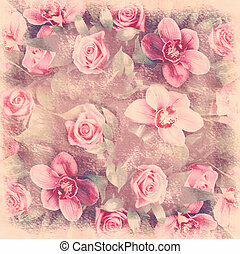 Vector illustration floral background.